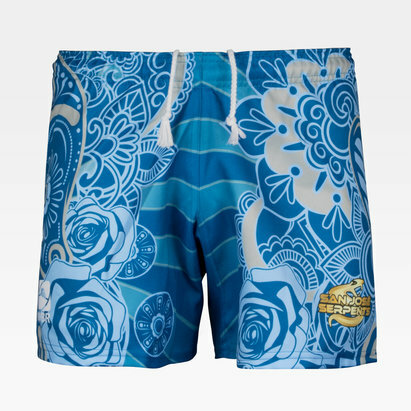 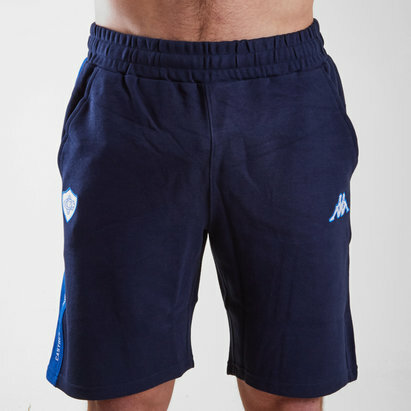 A pair of shorts that is sure to make you stand out in a crowd, pull on this World Beach Rugby Bangkok Bad Boys 2018/19 Home Rugby Shorts in Blue. 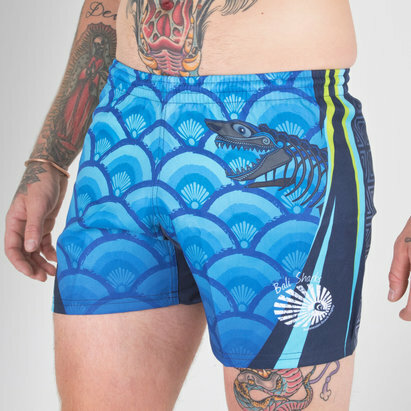 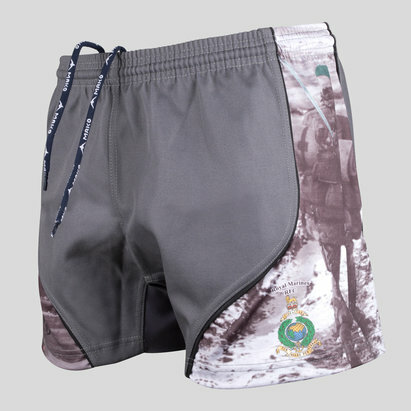 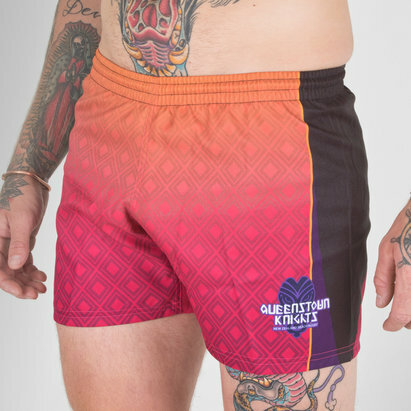 These rugby shorts comes made by World Beach Rugby comes made from 100% polyester with all the logos and sponsors sublimated into the shorts to avoid irritation whilst wearing. 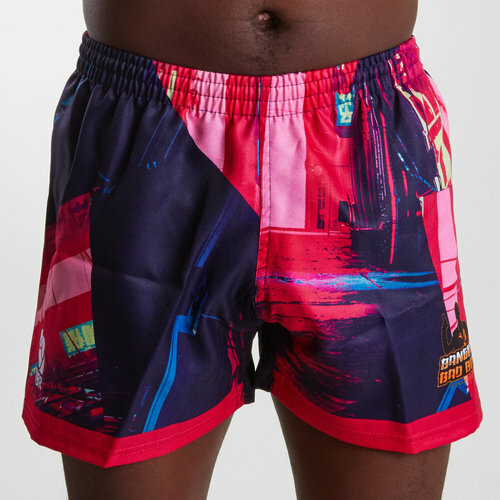 These shorts match the street scene that can be found on the home shirt. 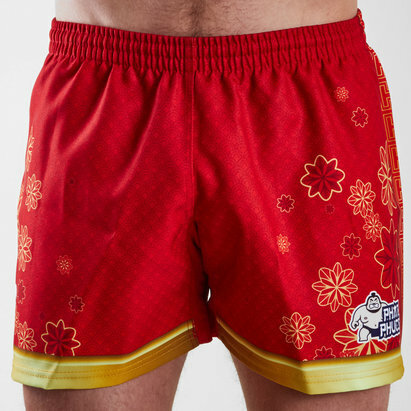 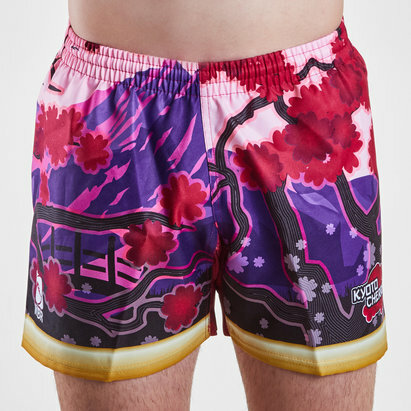 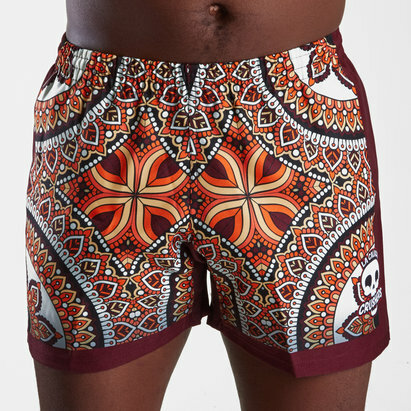 With an elasticated waistband secured by drawstrings, these eye-catching shorts will make sure you don't go unnoticed with these World Beach Rugby Bangkok Bad Boys 2018/19 Home Rugby Shorts.